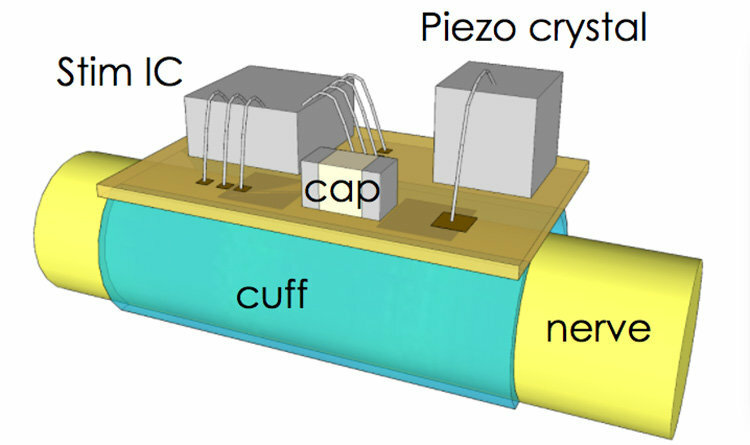 The device, called StimDust, short for stimulating neural dust, adds more sophisticated electronics to neural dust without sacrificing the technology’s tiny size or safety, greatly expanding the range of neural dust applications. The researchers’ goal is to have StimDust implanted in the body through minimally invasive procedures to monitor and treat disease in a real-time, patient-specific approach. 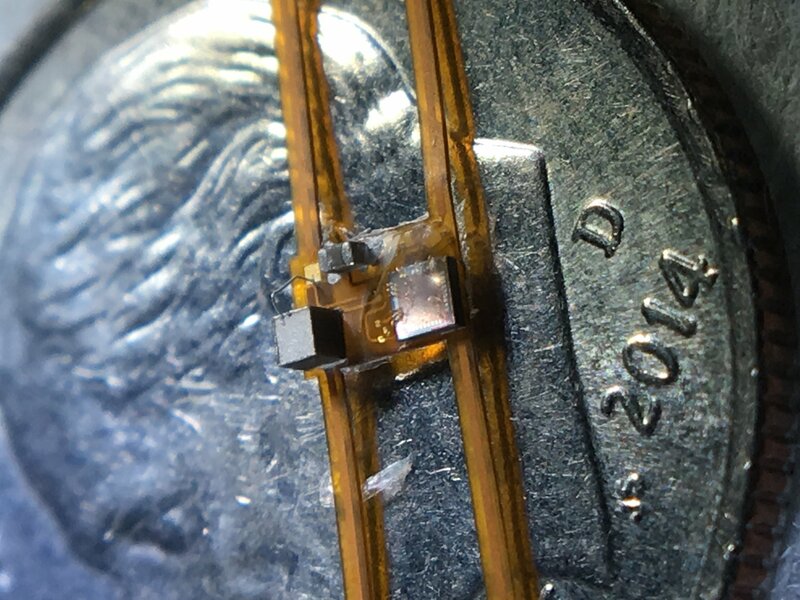 StimDust is just 6.5 cubic millimeters in volume and is powered wirelessly by ultrasound, which the device then uses to power nerve stimulation at an efficiency of 82 percent. 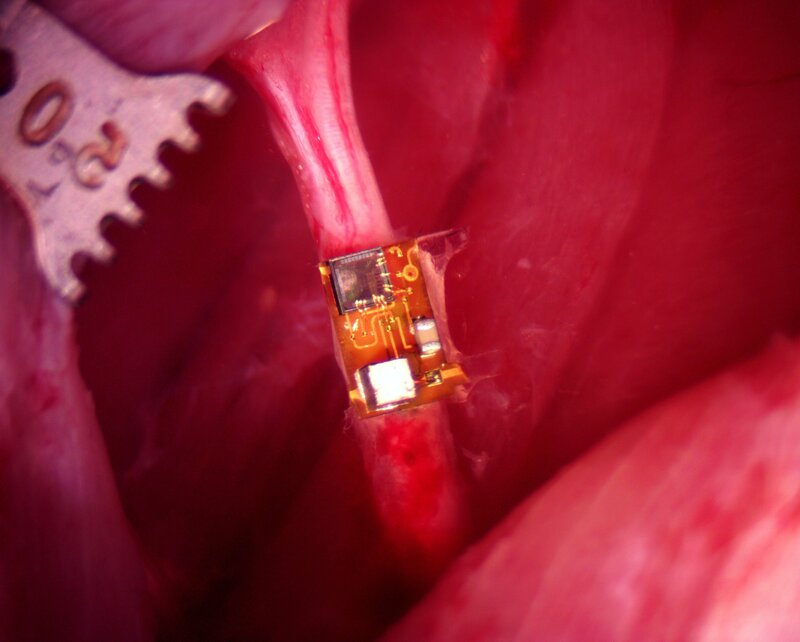 StimDust fitted onto a live mouse sciatic nerve via a cuff. Credit: Rikky Muller.